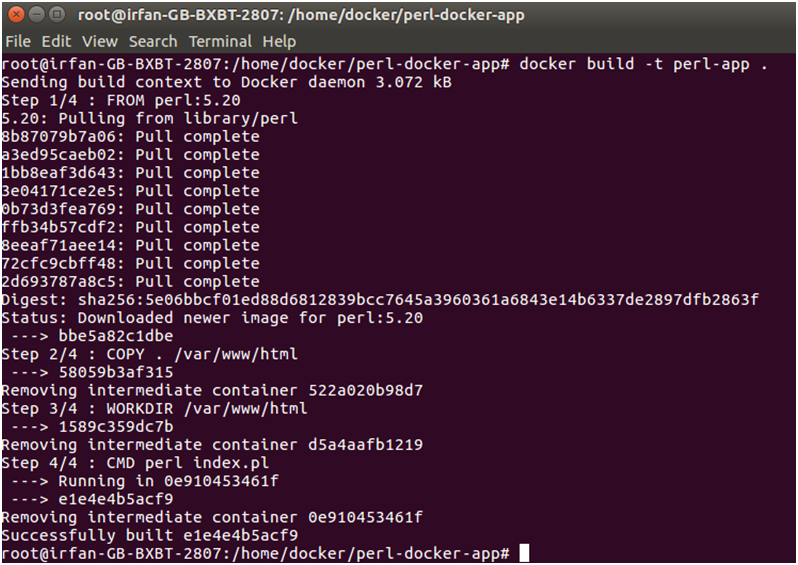 In this example, we are creating a perl application and executing that using Docker. This example includes the following steps. Create a directory to manage application files. $ docker build -t perl-app . After running the docker image it executes the perl script and print a message in the console screen.